To highlight a water feature, EcoSmart Fires can be cleverly incorporated into a natural stone or tile design or positioned nearby to further enhance the allure. The quiet, dancing flame and gentle glow combine beautifully with water landscapes. 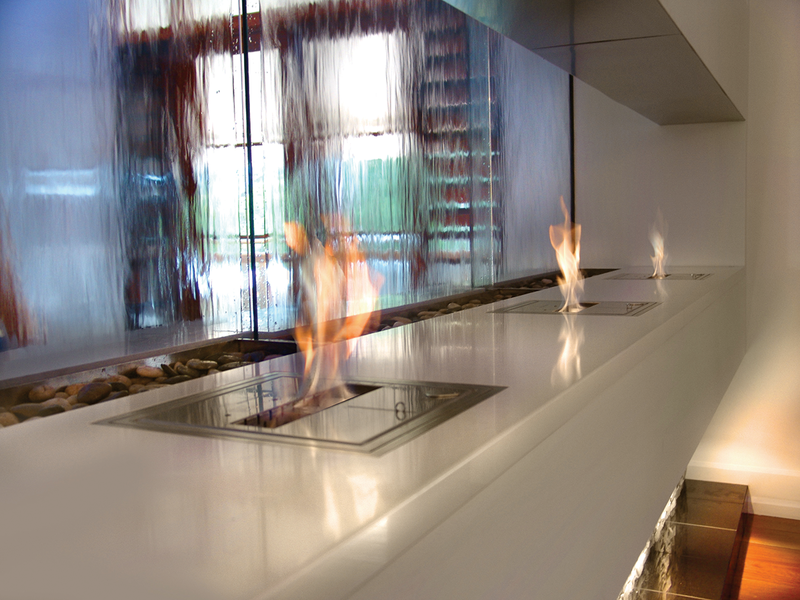 These bioethanol burners require no gas or other utility line, giving them an unparalleled flexibility, allowing your completed installation to more closely match your inspired vision.